Since 1850, California has been home to a large number of extremely talented and versatile watercolor artists. 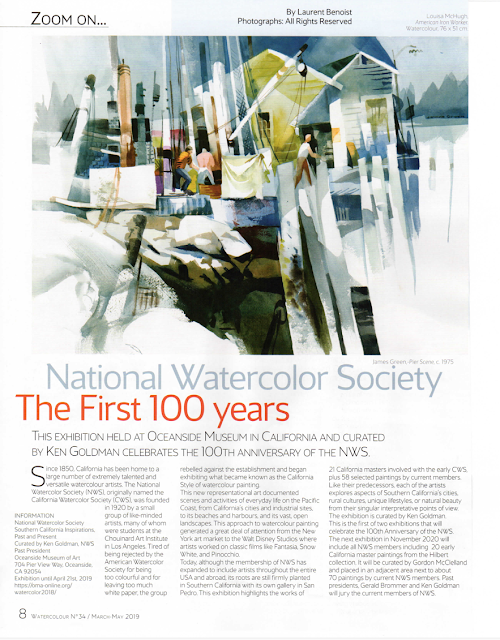 The National Watercolor Society (NWS), originally named the California Watercolor Society (CWS), was founded in 1920 by a small group of like-minded artists, many of whom were students at the Chouinard Art Institute in Los Angeles. 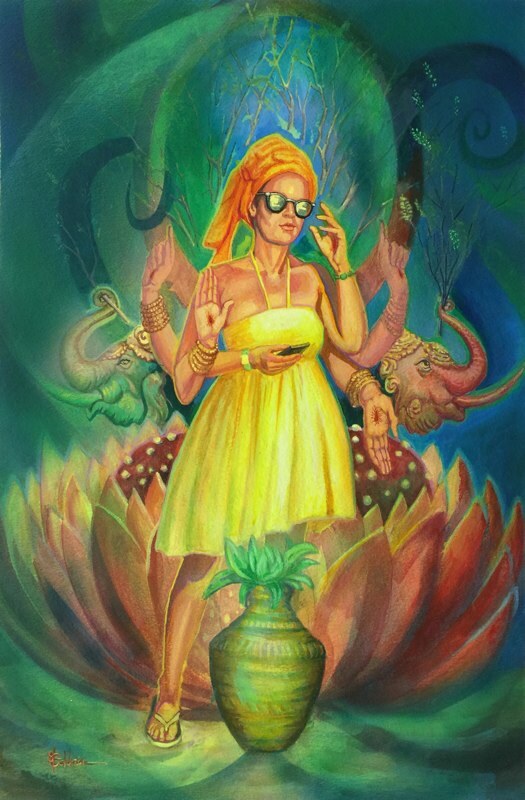 Tired of being rejected by the American Watercolor Society for being too colorful and for leaving too much white paper, the group rebelled against the establishment and began exhibiting what became known as the California Style of watercolor painting. This new representational art documented scenes and activities of everyday life on the Pacific Coast, from California’s cities and industrial sites, to its beaches and harbors, and its vast, open landscapes. This approach to watercolor painting generated a great deal of attention from the New York art market to the Walt Disney Studios where artists worked on classic films like Fantasia, Snow White, and Pinocchio. 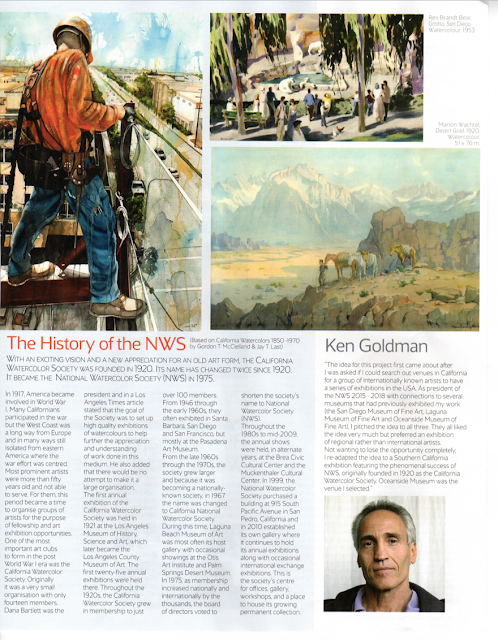 Today, although the membership of NWS has expanded to include artists throughout the entire USA and abroad, its roots are still firmly planted here in Southern California with its own gallery in San Pedro. This exhibition highlights the works of 21 California masters who were involved with the early CWS, plus 58 selected paintings by current NWS members. 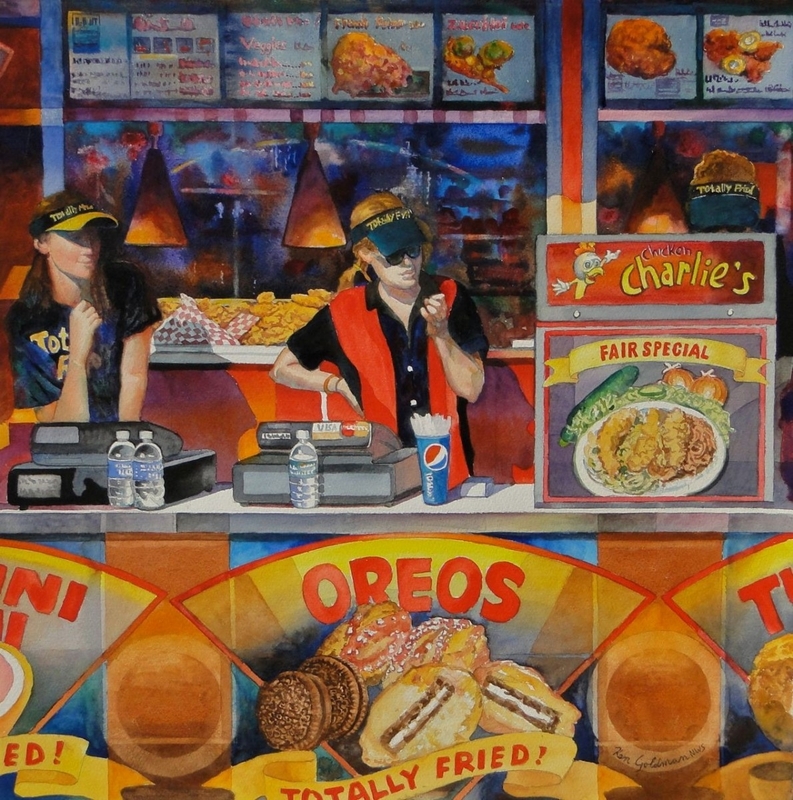 Like their predecessors, each of the artists explores aspects of Southern California’s distinctive cities, rural cultures, unique lifestyles, or natural beauty from their singular interpretative points of view. On view at Southern California Inspirations, Past and Present. Barse Miller, Emil Kosa, Hardie Gramatky, Jade Fon, Marion Wachtel, Milford Zornes Millard Sheets, Phil Dike, Ralph Hulett, Rex Brandt and selected current Southern California artists.